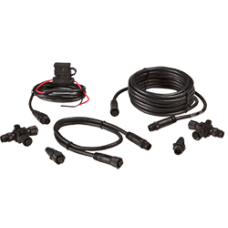 Lowrance off road GPS power and data cables. 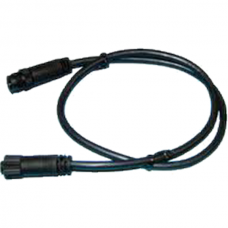 2-Wire power cord for HDS and Elite HD Lowrance. 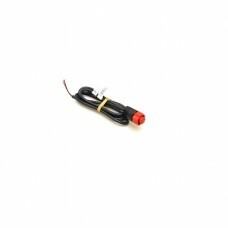 Does not have NMEA 1083 Data wires. Power Only. ..
Lowrance GPS Cigarette Plug Power Cable By Lowrance For use with GlobalMap 3300C, GlobalMap 3500C, GlobalMap 3600C iGPS, GlobalMap 4800, GlobalMap 4900M, GlobalMap 5200C, ..
Ethernet Cable by Lowrance, Yellow Plug, 15 Ft.
*Enables map sharing* 15' Ethernet cable, ETHEXT-6YL, MFG# 000-0127-51, with 5 pin yellow connectors for use with Navico systems and NEP-1 or NEP-2 expansion port. 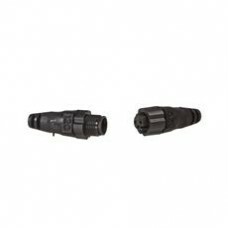 ..
Ethernet Cable by Lowrance, Yellow Plug, 25 Ft.
*Enables map sharing* 25' Ethernet cable with 5 pin yellow connectors for use with Navico systems and NEP-1 or NEP-2 expansion port. ..
Ethernet Cable by Lowrance, Yellow Plug, 50 Ft.
Ethernet Cable by Lowrance, Yellow Plug, 50 Ft. ..
Ethernet Cable by Lowrance, Yellow Plug, 6 Ft.
*Enables map sharing* 6' Ethernet cable, ETHEXT-6YL, MFG# 000-0127-51, with 5 pin yellow connectors for use with Navico systems and NEP-1 or NEP-2 expansion port. 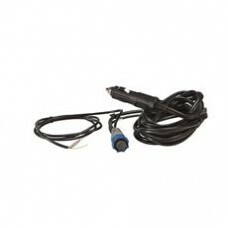 ..
Works with: HDS Gen2 Touch 9" and 12" units as well as HDS Gen3.Accepts composite video on RCA jackCompatible with NTSC or PALFits in line with current power cable ..
N2KEXT-15RD - 15 ft (4.55m) NMEA 2000® cable. 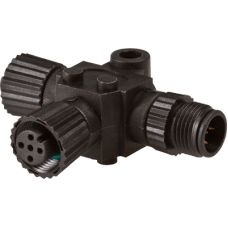 For network extension or connection to additional network device ..
N2KEXT-2RD - 2 ft (0.61m) NMEA 2000® cable. 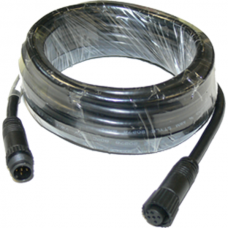 For network extension or connection to additional network device ..
N2KEXT-25RD - 25 ft (7.58 m) NMEA 2000® cable. 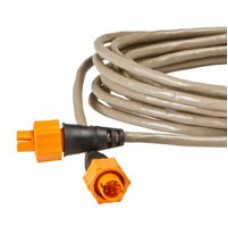 For network backbone extension only ..
N2KEXT6-RD, MFG# 000-0127-53, 6 foot backbone extension cable for NMEA 2000 network. 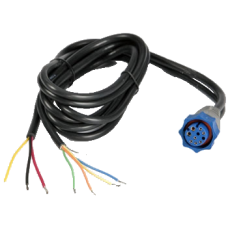 ..
NMEA 2000® starter kit - Backbone required to install one or more NMEA 2000® sensors with any HDS install; includes power cable, 2-ft cable, 15-ft cable, 2 x T-connector, network terminators ..
PC-30-RS422 - Power cable. For HDS series, Elite-5 HDI series, Elite-5m, and Elite-7, Elite Ti, and Trophy series. 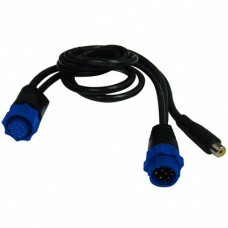 ..
USB to NMEA 2000 Gateway Kit..